Join us for our 4th Annual Blue Jean Gala! 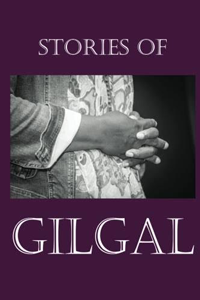 The benefit will be a night for supporters of Gilgal to celebrate the success of women who have transformed from homelessness and addiction to employment and stability. Our theme for this year’s gala is, Love Beyond Measure. people will attend the Blue Jean Gala. So, put on your blue jeans and plan for a fun and inspirational evening. You will enjoy dinner, live entertainment, testimonies from Gilgal clients and a fabulous silent auction. This year’s event will take place in the Ballroom of the lovely Cobb Energy Center on Thursday, October 18, 2018 at 6:30 pm. Click HERE for driving directions and parking info. Join us for a fabulous silent auction, dinner, live entertainment and special testimonies from Gilgal clients, graduates and partners. Tickets start at $125 each. Patron Tickets start at $200. Sponsorship opportunities are also available and start at $5,000. Event proceeds will help fund Gilgal’s exceptional life changing programs and a special capital project that will create the Gilgal Campus. Last year’s event hosted more than 300 people. Seating is limited. Purchase tickets below. Since 2005, over four hundred and fifty women in need have made their way through the doors of Gilgal. Once here, they find love, acceptance, trust, nutrition, counseling, care and a home that will offer the opportunity for life transformation. Over those years we have been blessed with supporters and partners who have allowed us to continually provide our services in the areas of housing, education and employment. Now we have the opportunity to complete the Gilgal Campus and purchase all of the property at our current location, creating a safe community of healing and restoration for our residents. 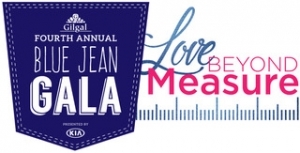 We invite you to join us as a Corporate Sponsor of the Blue Jean Gala and make a significant investment in that vision, bringing transformation to Atlanta’s homeless women. Your support will help Gilgal expand its operations and program budgets to support the expansion of the Gilgal Campus. Can’t Attend? Click Here To Donate!